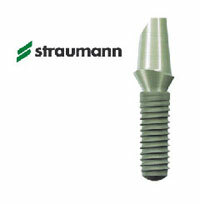 Straumann is the leading brand of implant dentistry worldwide. With headquarters located in Switzerland, it is the best not only in the field of implantology but also in restorative dentistry and oral tissue regeneration. The dental implant systems they offer are known as the best and most reliable products available on the market. Their state of the art intra-oral scanning and CAD/CAM prosthetics are carefully designed to provide the best outcome. Along with implant systems and prosthetics, Straumann also offers products that regenerate oral tissue to compliment the treatment plan and provide a better prognosis. For further innovations, Straumann has selected several qualities all their implant systems must possess. They must be reliable for quick healing time and ideal tissue response. They also must be simple to use for fast and efficient surgeries. They should also be versatile, offering a selection of prosthodontic options for all and any indication. Tiring years of research and innovation have contributed to making Straumann part of the ITI (International Team for Implantology), consisted only the best dental clinicians and research institutes all around the world. With 50 years of research and practice, including over 70 locations globally, Straumann has met all standards required to produce a successful dental implant. This consists of the implant lines, SLActive, and Cassette and instruments. The implant lines are divided in to three systems: the standard implant, which is the leader in one-stage or trans-gingival healing; the standard plus implant, the most flexible selection for esthetic considerations; and the tapered effect implant, a specialized system used for immediate and early implantation. SLActive was introduced in 2005, and since that time, it has been notably successful. The surface it uses (SLA surface) reduces healing time from 6-8 weeks to only 3-4 weeks, rendering it to be the gold standard used in modern implantology. Since it has a third-generation hydrophilic implant surface, its improved predictability and shortened healing period have made it beneficial for users and patients. With the use of Straumann’s latest technology and expertise, the bone level implant provides a solution to all bone level treatments without sacrificing the features needed for a good implant. There are many prosthetic choices including the temporary, anatomic, gold, cementable, and multibase abutments; also, LOCATORS, PLAN sets, and bar abutments. Indicated for all cases, it is biologically accepted, and facilitates conventional esthetic results. In conjunction with the SLActive, the Roxolid combines high strength using titanium and zirconium, with exceptional osseointegration. It provides more treatment options for small diameter implants as well as improve patient acceptance of implant treatments. Straumann offers an array of choices for the final restoration. Included are the crown and bridge or hybrid prosthetics. The crown and bridge can be narrow neck, for replacement of upper lateral incisors and lower incisors, wherein space is very limited. Another is the synOcta prosthetic system for regular and wide neck, used for all indications making it the most versatile. Finally, a solid abutment system for regular and wide neck implants is used for cemented crown and bridge prosthetics. Hybrid prosthetics may be a retentive anchor using a simple impression technique yet providing a simple and secure denture; LOCATOR abutments that are supplied in different heights, providing a secure and easy incorporation of the denture; steco titanmagnetics system; synOcta bar restoration that makes sure the denture is securely placed, at the same time, splinting the implants; or synOcta telescopic crown restoration. Every patient has different needs, and sometimes, there is a need to replace not only missing teeth, but also missing bone. The Emdogain is used to regenerate periodontal attachments. This product controls cementum formation on the root of developing teeth using various proteins providing a foundation for all necessary tissues associated with a true functional attachment. The Emdogain PLUS uses the same principles except that it is indicated for wider periodontal defects. PrefGel is a root surface conditioner used to gently remove the “smear layer” preventing or slowing down healing during periodontal surgery. It is topically applied on the exposed root surface during the surgery. The Straumann bone ceramic is a fully synthetic bone substitute that offers flexibility in a range of bone regeneration procedures. Composed of triphasic calcium phosphate, this favors the formation of new bone. Its advantages include its outstanding wettability, exceptional handling, user-friendly design, optimized morphology, strong homogenous phase distribution, excellent bone formation, and minimum amount of material. Bone block fixation is used to stabilize bone grafts and grafting materials for better regeneration of bone in the oral cavity. This allows us to possibly place implants in a location that was recently contraindicated for the procedure. 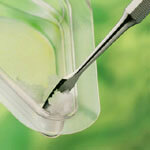 It is reliable, versatile, and like all Straumann products, simple to use. Check out our prices for Straumann implants here.